All Smiles always strives to provide quality family dental care. To do so, we have assembled an all-star staff of friendly and caring professionals from the front office team to our skilled dental hygienists and dental assistants. Our fantastic team will work with you to verify dental benefits, coordinate scheduling that works for you and your family, as well as answer any financial questions you may have. We understand that visiting a dentist can cause anxiety and that some people have had unpleasant experiences in the past. We strive to make all our patients as comfortable as possible from the moment they step through our doors and we will be sensitive to all your needs and concerns. Dental health is crucial to overall health and we want each of our patients to enjoy a great-looking and healthy smile for life. Let’s meet the terrific staff at All Smiles. 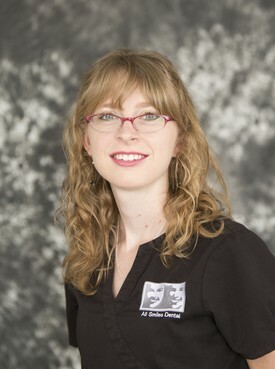 Lindsey graduated from Wharton County Jr. College with an Associate Degree in Applied Dental Hygiene in 2003. She has been at All Smiles since 2007. 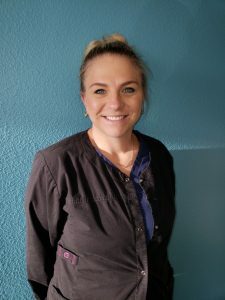 She loves interacting with patients and gets great satisfaction at seeing how good the patients feel and look after she has worked with them. Chelsea graduated with a degree in general studies from Blinn College. She received her RDA in May of 2015. 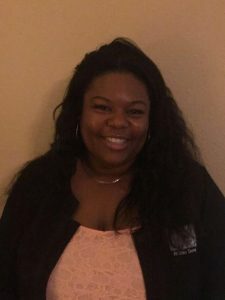 She moved to Lake Jackson in September of 2015 and brings more than eight years of customer service experience to her job. 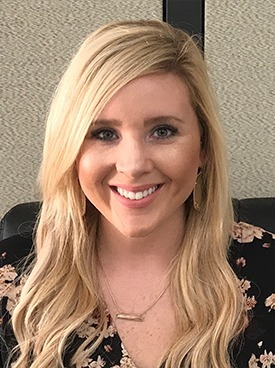 Chelsea’s joy and passion for her career comes from her patients’ excitement with their treatment, knowing they are confident in their smile and staying pain-free. Stacie grew up in Angleton and graduated from Angleton High School in 2010. 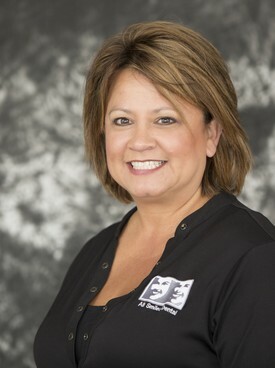 She attended the C. Mark Mann School of Dental Assisting in Sugar Land. She finds great joy in coming to the office every morning and being able to help our patients get their smile back while offering the compassion and care they want, need and deserve. Brenda graduated from Sweeny High School in 2016. While in high school, she earned her CMA (certified medical assistant) certificate. After graduating, she attended Dental Assisting Options and received her RDA (registered dental assistant) license. 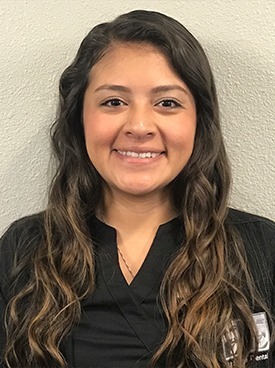 She is currently attending Brazosport Community College working towards becoming an RDH (registered dental hygienist). She enjoys being part of a great office that really cares about the patients’ well being. Jasmyn Frazier, 23 years old. 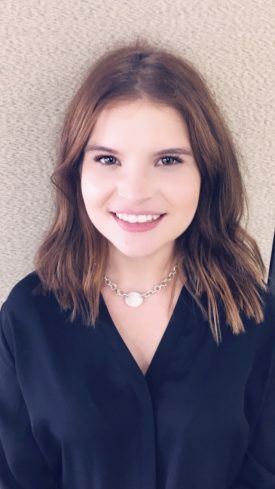 I graduated from Brazoswood High School in 2014 and Dental Assisting Options in 2018. Haley Wilson graduated from Brazoswood High School in 2016. 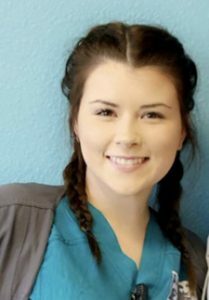 After graduation she attended Dental Assisting Options and received her Registered Dental Assistant license in 2017. Martha has a Business Management Certificate from Victoria College. 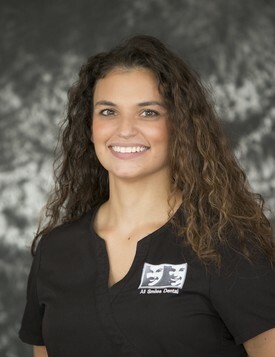 She has more than 15 years of experience in the medical field along with more than 10 years in business management. She has been with All Smiles since 2011. She and her family made Lake Jackson their permanent home in 2010. She loves helping people, so if you have any questions or concerns don’t hesitate to give her a call. 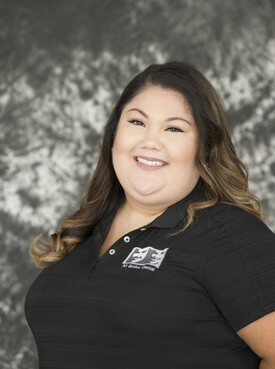 Claudia has an EKG technician certification from Brazosport College. She worked in the medical field for over four years. She loves helping and interacting with patients. Claudia gets great joy from working at All Smiles. Cristella graduated from Brazosport High school in 2010. She has more than five years of experience in customer service. She is also bilingual in English and Spanish and more than capable of helping our patients when language may be a barrier to treatment. 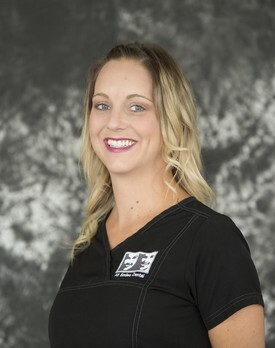 She likes to make sure patients are well taken care of, feel comfortable and are also fully satisfied with the services that we have provided. Angely graduated from Brazoswood High School in 2011. She had been working in customer service for 8 years and is excited to be a part of our family! She is fluent in both English and Spanish. 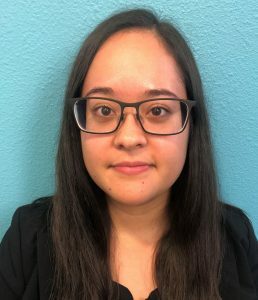 Angely loves to get to know someone and learn something interesting about them! She is excited to see and help our patients become more confident with themselves and see them leave happy and satisfied with every visit! 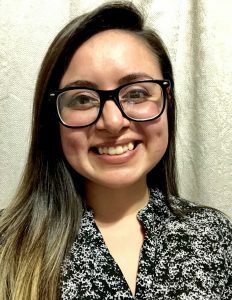 Maria graduated from Brazoswood High School in 2015. 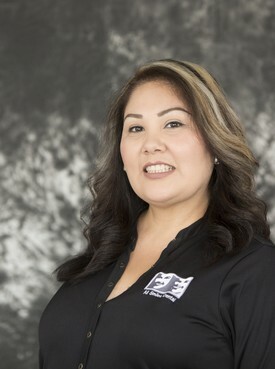 She has worked in customer service for over 5 yrs and excited to join the dental world. She loves seeing how a healthy smile can give patients confidence because “when you feel better you look better”. Her goal is to graduate this June with her Registered Dental Assistant license. Laurie graduated in 2009 from Alvin high school in 2009. She has over four-plus years in customer service. She loves that dentistry can change lives. And gets no greater satisfaction than seeing what new found confidence a healthy smile bring! 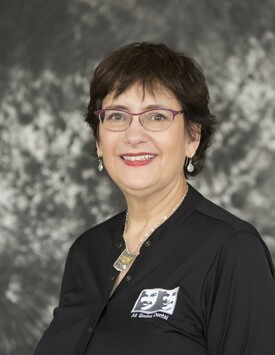 Sara spent 20 years creating, maintaining and administrating financial databases in a variety of industries. She uses this experience to help All Smiles in a variety of administrative special projects. She loves helping at All Smiles because we directly help people feel and look better.